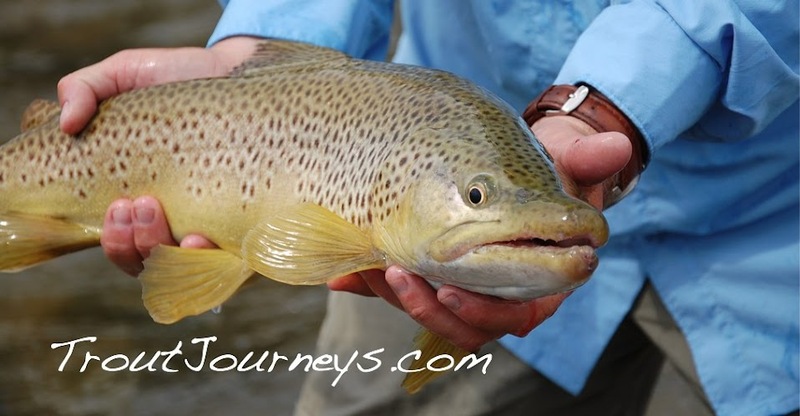 Trout Journeys: The Little Finger Does It ! Ever Seen One of These ? Antique Fly Fishing Reel The Utica Reel... For sale on Ebay found at an estate sale. Horrocks-Ibbotson Co., Utica, N.Y., made a lot of tackle for a long time, most of it in the low- to mid-priced range. Although a few of their very early automatic fly reels are sought by collectors, their baitcasters have little value. An automatic fly reel does just what the name suggests - it automatically retrieves all fly line. 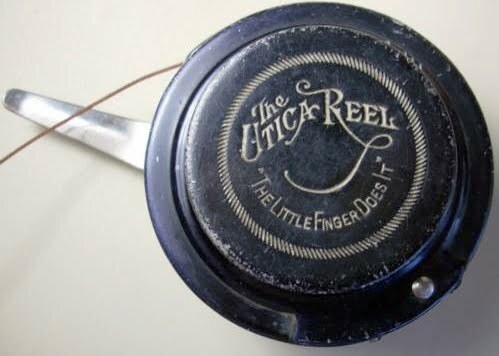 To retrieve line on this type of reel, an angler does not turn a handle. Indeed, automatic fly reels generally don't even have any handles. Instead, the angler uses a trigger that releases a spring that allows the line to be retrieved. 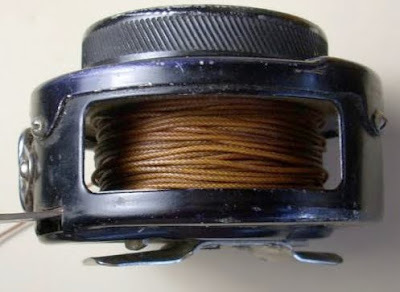 The problem with automatic fly reels is that they are very heavy, not very durable due to the numerous temperamental parts in the reel, do not offer a fine drag setting (to prevent light tippets) and cannot hold as much backing. Changing spools can also be a painful and time-consuming process, too. In short, automatic fly reels are not popular in the world of fly fishing today simply because they just don't work very well. While automatic fly reels have improved over the years, anyone serious about fly fishing will stay away from these fly reels. 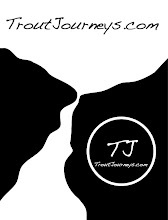 Additionally, for saltwater fishing, automatic fly reels are virtually never used. The temperamental parts and lack of backing makes controlling any large fish next to impossible. Oh, well I like the slogan at least.